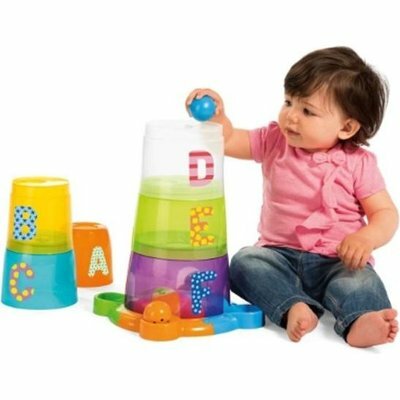 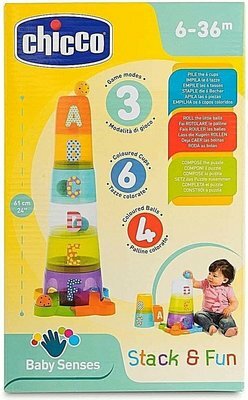 Each stacking cup in the tower has a letter of the alphabet – assisting in initial alphabet learning. 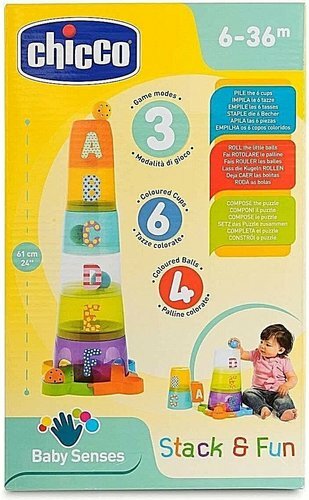 The base has a puzzle at the bottom consisting of 4 pieces. 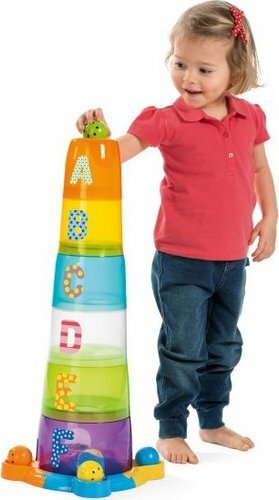 Stack the 6 cups in order from biggest to smallest to learn the alphabet. 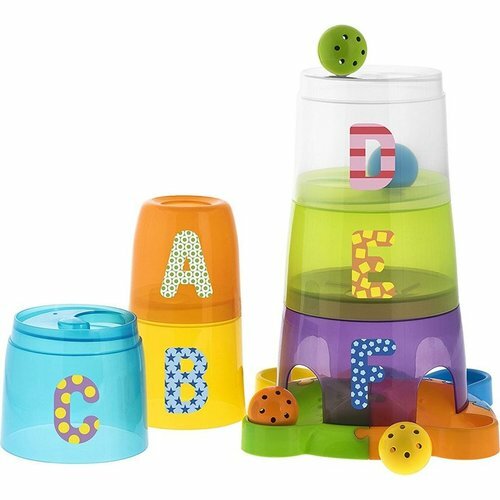 When inserted into the holes, the coloured balls roll down to the base. 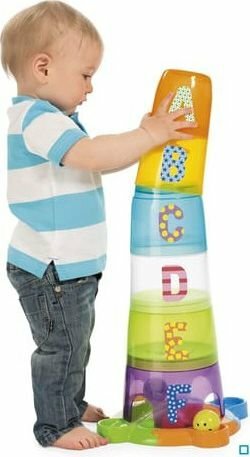 Different activities to develop manual coordination.